All dogs require an evaluation, typically by coming in for a trial day of daycare, before acceptance into the Daycare Program. The following vaccines are required for all daycare guests: Bordetella, Rabies, Distemper & Parvo. We require that your dog receive the Bordetella (Kennel Cough) vaccine every six months. Also, as of September 2018, due to the confirmed cases of dog influenza within our state, we have implemented the requirement for the Influenza Vaccine. Owners need to certify that their dog is in good health and is free from any condition(s) that could potentially jeopardize other dogs. All dogs must be on a flea/tick prevention. 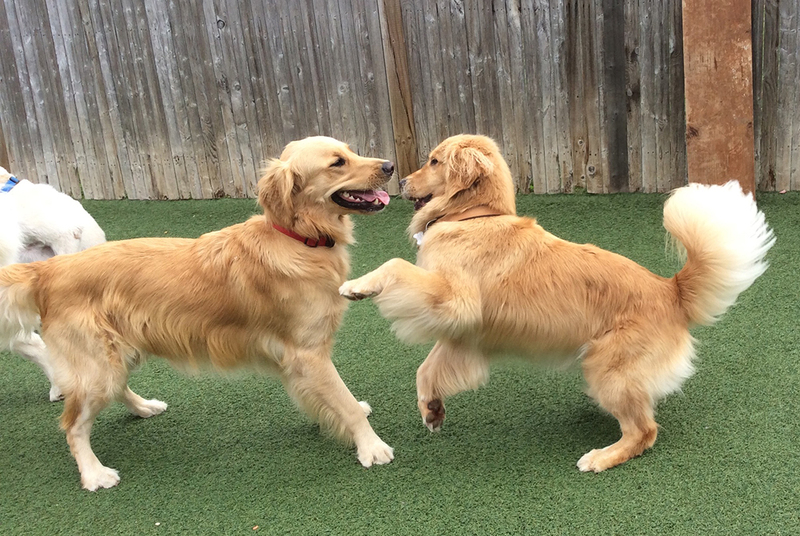 Daycare dogs are eligible for discounted vacation care.